Remember my blog about the cider-braised ham? I briefly mentioned the “Lucky Leftover” recipes that accompanied that article. Our braised ham was several pounds smaller than the 8-10 pounder indicated in that recipe and we still had enough meat for two leftover dishes and a hambone for soup. 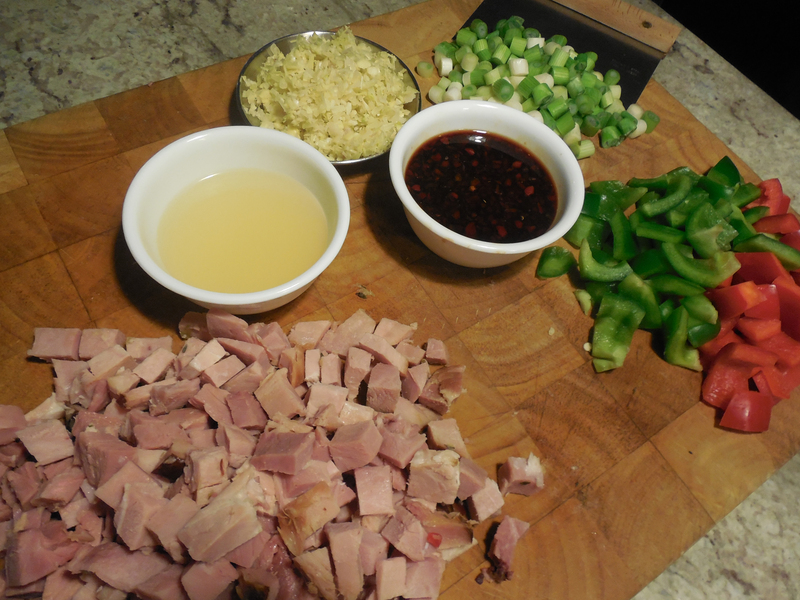 So we made the Indonesian-style Ham Stir-fry just days after the main menu, then froze the rest of the meat and the bone for later use. Spicy and sweet, this quick stir-fry dinner needed only short-grain sticky rice to complete it. And once again, we found a winner! TIP: If you don’t have or can’t find keycap manis (and we couldn’t), a syrupy Indonesian soy sauce, you can substitute 1-1/2 Tbs. soy sauce combined with 1-1/2 Tbs. unsulfured molasses. Whisk the keycap manis (or your substitute), vinegar, and sambal oelek in a small bowl; set aside. Heat a 14-inch wok or heavy-duty 12-inch skillet over medium-high heat until hot, then swirl in the oil. Add the scallions, lemongrass, ginger, and garlic and stir-fry until softened, about 30 seconds. 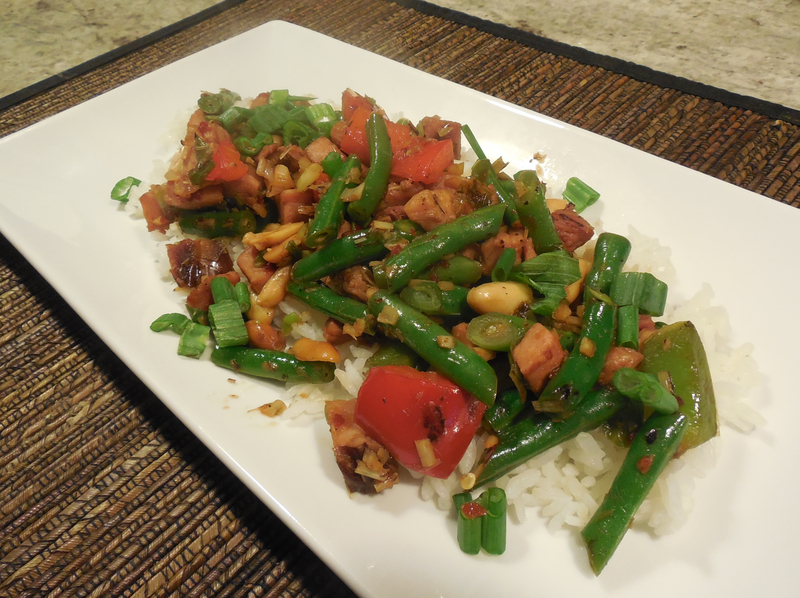 Add the green beans, bell pepper, and peanuts and stir-fry for 2 minutes. Add the ham and stir-fry until warmed through, about 2 minutes. Pour in the broth, scrape up any browned bits, and bring to a boil. Pour in the kecap manis mixture and stir-fry until bubbling and the ingredients are thoroughly coated in the sauce, about 2 minutes.